June | 2013 | The Race Dr. If it is 4th of July it must be time for the Firecracker 400 – oops make that the Coke Zero 400. Whatever you call it, nothing says summer like this race. I remember many a 4th listening to this race on the radio wherever I was. I remember even more vividly sweating profusely in the stands at Daytona on a couple of very hot July race weekends. As much as I revere tradition, I fully supported the idea to change this to a night race. Not only does it add to any holiday weekend to have a Saturday night race, it makes it a much more comfortable race to attend. Under the lights this race shines. This is our third restrictor plate race of the year and we have ten different winners in seventeen races. 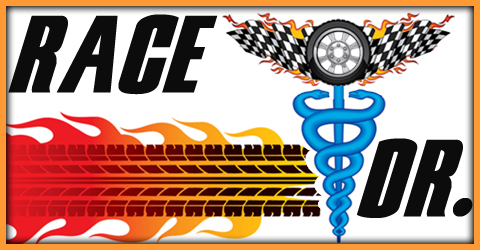 There is a very good chance that we’ll have a first-time winner at this race – after all it was two years ago that Trevor Bayne won the Daytona 500 in a partial season ride and David Ragan had his first win at the 400. Will we see an eleventh winner for the season or a return victor to victory lane? We’ll know Saturday night. Tuesday look for our Top 10 drivers on restrictor plate tracks in advance of the Coke Zero 400, Thursday we’ll rank the Top 30 drivers for that race. My #5 driver to watch has won here before, #2 Brad Keselowski. Brad won the Cup race here last year. Brad has also won in the Nationwide Series and is running all three races here to get a little more track experience. Brad comes in here 21st Hottest over the last six weeks, and he needs to turn things around quick. And there’s nothing like returning to a track where you are a defending champion to do it. The #4 driver to watch won here in the Camping World Truck series, the Nationwide series, AND was the first driver to win here in the Sprint Cup series, #18 Kyle Busch. Kyle won Kentucky Speedway’s debut Sprint Cup race and finished 10th here last year. Like Brad, Kyle will also be running all three races here this weekend. My #3 driver to watch is very good on track like this, #20 Matt Kenseth. Matt has a 6th and 7th place finish here. He is #2 ranked on tracks like this, but is currently racing 16th hottest over the last six weeks, so like Brad he is happy to be here. My #2 driver has never won here in any series, #29 Kevin Harvick. Kevin has not only never won any race here, he has never even had a Top 10 in the two Cup series races. Kevin IS however having a great season, he sits 4th in points, and he is #1 hottest driver over the last six weeks. His hot streak should continue here in the bluegrass state. My #1 driver has also won here both in the Nationwide Series and the Camping World Truck Series, #99 Carl Edwards. Carl is ranked #1 best on Down Force Tracks like this and finished 5th in his first visit here. Monday look for our preview of the COKE ZERO 400 from Daytona. Friday we break down the Top 5 drivers to watch in the Quaker State 400. Hendrick Motorsports return to #1 this week. Roush/Fenway give up a spot at #2. Richard Childress Racing keep a great climb going and land at #3, up a spot. Furniture Row Racing have a great road course week and go to #4 from #8. Penske Racing stay in the Top 5 at #5. Joe Gibbs Racing coming off a disappointing day in Sonoma drop four spots to #6. Michael Waltrip Racing drop a spot to #8. Stewart/Haas Racing also drop a place to #8. Richard Petty Motorsports and Earnhardt/Ganassi Racing trade places this week. These are the Top 10 Teams, Thursday look for our Top 30 drivers at Kentucky Speedway. Top 10 drivers on Downforce tracks, Thursday look for our Top 30 for Saturday’s Quaker State 400 from Kentucky Speedway. For 12 years NASCAR has been running races at Kentucky Speedway. The Camping World Truck series, and the Nationwide series have both run here and we saw the Sprint cars debut here two years ago. In the last twelve years we have seen seats continually added to keep up with fan demand – now boasting well over 100,000 seats. We have run two Sprint cup races so far and both winners had won here previously in another series, so it does appear experience on this tack is beneficial. Greg Biffle #16 and Carl Edwards #99 have won here in the Truck series. Kevin Harvick #29, David Gilliland #38, Carl Edwards #99, Joey Logano #22 and Brad Keselowski #2, have won here in the Nationwide series. Carl Edwards #99 has won here in both series. Does that mean those are the only drivers that can win come Saturday? Not really, but it does give all these drivers a little bit of confidence going into the race. The two drivers to keep an eye on will be Kyle Busch #18 who won here in ALL three series, and Brad Keselowski #2 who has a Cup win and a Nationwide series win. What will happen this year? Will we see a new name in victory lane or a repeat winner from another series? Well find out Saturday night. Tuesday look for our top 10 Teams in advance of the Quaker State 400. My #5 driver has come very close to winning here in the past, #9 Marcos Ambrose. Marcos is known for his road course skills in his native Australia. Marcos almost won this race three years ago when he was leading but got caught out when he shut off his motor to save fuel and then couldn’t re-fire. That cost him the win and gave Jimmie Johnson his first road course win. Marcos is my #1 rated road course driver. Marcos has six starts, four of those Top 10’s and two Top5’s. My #4 driver to watch is a two-time former winner here, #14 Tony Stewart. Tony won here in 2001 and 2005 and has five total Top 5 finishes in his 14 starts here. Tony sits 10th in points and needs to stay in the Top 10. Tony finished 2nd here last year. The #3 driver won here last year, #15 Clint Bowyer. Clint is not usually thought of as a Top 5 road course driver but his history racing on dirt tracks has helped him to be successful here. Clint has seven starts and four Top 5’s. Add to that he is 4th hottest driver over the last six weeks. The #2 driver to watch is another former winner – a five-time former winner, #24 Jeff Gordon. Jeff has five wins here with the last coming in 2006. He has 20 starts, those 5 wins, and 12 Top 5 finishes. Jeff’s last seven races here were all Top 10’s and four of those were Top 5’s. Jeff also has the #1 best average finish. My #1 pick won here three years ago, #48 Jimmie Johnson. Jimmie has 11 starts here, a win and four Top 5’s, which is why Jimmie has #2 best average finish. Why pick him over his teammate, Jeff Gordon? Because Jimmie is #1 in points and doing well everywhere; I have to think this stop in wine country should be no exception. 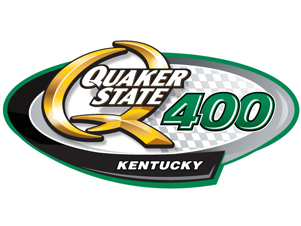 Monday look for our preview of the Quaker State 400 from Kentucky Speedway.